Depending on the situation, there may be a waiting period of up to 48 hours from the time of death before the human remains may be cremated. During this waiting period, the body of the deceased is placed in refrigerated storage on-site. Before cremation may begin, mechanical devices such as pacemakers must be removed because they may explode during the cremation process, causing extensive damage both to the integrity of the human remains and to the cremation chamber. If your loved one has a pacemaker or silicon implants, please let your funeral director know prior to cremation. To begin the cremation process, the human remains and the cremation container are placed in the cremation chamber. Sometimes, this is referred to as the retort. Open flames raise the temperature to 1654 degrees Fahrenheit (or more) for a period of approximately two to three hours. The time varies with each human remains. Sometimes, the partially cremated remains are repositioned to facilitate completion of the cremation process. Repositioning the remains allows the cremation facility to use less fuel and is therefore more environmentally friendly. To reposition the human remains, or to remove the cremated remains from the cremation chamber, a broad rake-like instrument is used. Every effort is made by the operator to completely remove every particle from the chamber floor; however, tiny particles may remain in the cremation chamber and become commingled with particles of another cremation. This is normal and unavoidable. After the cremation process is complete, the cremated remains are removed from the cremation chamber and placed in a tray for cooling. They are then processed to their final consistency. The processed cremated remains are placed into an urn or some other type of container, according to the wishes of the family. Most cremated remains weigh between 4 to 8 pounds, depending on the bone structure of the human remains. Metal objects, such as jewelry and dental gold, may break down into small pieces during the cremation process. These small pieces, along with larger pieces of metal (e.g., hinges, screws and prostheses), may be removed from the cremated remains using a magnet or some other means, then disposed of according to local laws and our company policy. Finally, the family chooses the final disposition of the cremated remains. Pending this decision, Highland Hills will hold the cremated remains for a very limited, specified time. The family may select inurnment in a permanent location such as a mausoleum/columbarium niche, cemetery plot (many cemeteries allow urns to be buried in the same plot as a previously-interred casket or other urn), or other special location of the family’s choosing. Alternatively, the remains may be scattered in a cemetery scattering garden, at sea, or in some other location, so long as it is in accordance with local laws. However, the decision to scatter should be chosen carefully in that it is irreversible. 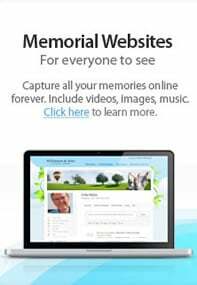 There are many funeral and ceremonial services available for those choosing cremation. Any further questions regarding the cremation process or services should be addressed to a Highland Hills cremation specialist.